This year, I found out where 216 bass lived. More than a few came from some regular stomping grounds so perhaps I’d already met some of them over the years. Today we take a general look at where those fish call home. While they came from spots like Freak’s Point, 2X4 Lake, Silo Bend and The Moose Hump I won’t get quite that specific as fishing is a pursuit that lends itself to a little mystery and more than a few secrets. Comments: Once again, a big batch of little waters produced the vast majority of my bass. Those small waters consisted of the standard collection of public and private Knox County strip mines, many that I have been fishing since the 1980s. The largest lake I fished was Lost Grove Lake in Scott County, Iowa which comes in at about 400 acres and I also put in a few hours on good old Lake Storey just north of Galesburg, Illinois which comes in at 133 acres. Comments: I have put far more miles on pairs of boots and sets of oars than I have ever racked up on trolling motors or outboards. 2018 was no exception as the only times I took advantage of the “big boat” was a June strip mine jaunt and a pair of October outings on Lake Storey. It was a near 50/50 split between bank and boat catches this year and while it takes some work, my fishing on foot locales can sure fill up a few pages of the log during a day hike. 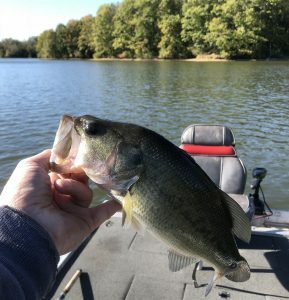 Comments: After landing some quality bass on this relatively young lake in 2017, I took a step backwards in 2018 as I really struggled to find some bites. Abundant, scattered and somewhat random surface vegetation still make this developing fishery a challenge as the weather warms. Need to make a note to see what it has to offer earlier in the year in 2019, ideally before the weeds take hold. Comments: Always a treat when I get on this old favorite as its bass population can be a challenging bunch. 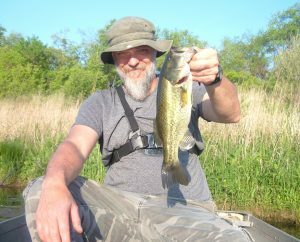 I was pleased with the catch rate on my two visits and the bass were just flat out healthy though none for me in the trophy category. Did witness a few quality catches by my fishing partner, more on that later this week. One suspected toothy encounter with a surface thrash at boatside as I absentmindedly lifted my spinnerbait from the water oblivious to that whole Figure 8 thing. Comments: What a difference a year makes as my Top 5 from these old fishing holes for 2018 was barely half of the 26-13 I somehow fooled in 2017. Pretty tough to top though considering that was my best haul ever. I must admit I was pretty excited to fill out my Top 5 with 7-3 during a February visit but never made many more big leaps the rest of the way. 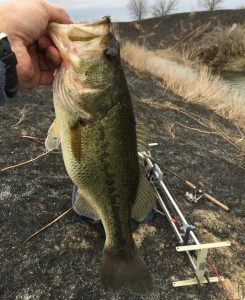 Fished my productive spots and worked them over good but just couldn’t find many big bites. 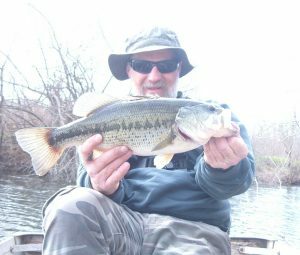 Comments: A controlled burn on some of my public walk-in strip mine ground really produced a big batch of April bass as the access was incredibly easy. It allowed for an increase in pond hopping and permitted me to hit most of my favorites each outing. In contrast, my July and September visits were marked by much tougher walking which limited the spots I could hit over the course of the day. As a result, April produced 78 of the 107 bass that these areas gave up for the year. And it only took about 20 miles of hiking and/or biking.